Watch SDPB Kids on-air and online! For more information about receiving SDPB-TV’s over-the-air signal go here. If you subscribe to cable, we encourage you to contact your local provider and ask them to add SDPB Kids to their line-up. Want to know what’s on? Tap here, or visit SDPB.org/Buddy. 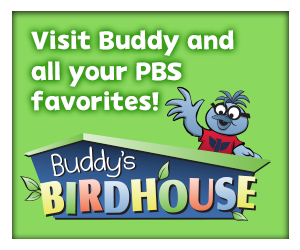 PBS Kids continues to air during the day on SDPB1-TV, our main channel.